"Charcoal Pencil - A Good Drawing Material"
This drawing material is made in many different degrees of hardness and softness, the harder varieties being capable of quite a fine point. A chisel-shaped point is the most convenient, as it does not wear away so quickly. And if the broad side of the chisel point is used when a dark mass is wanted, the edge can constantly be kept sharp. With this edge a very fine line can be drawn with charcoal pencil. Charcoal works with great freedom, and answers readily when forceful expression is wanted. Charcoal drawing is much more like painting than any other form of drawing, a wide piece of it making a wide mark similar to a brush. The delicacy and lightness with which it has to be handled is also much more like the handling of a brush than any other point drawing. When rubbed with the finger, it sheds a soft grey tone over the whole work. With a piece of bread pressed by thumb and finger into a pellet, high lights can be taken out with the precision of white chalk; or rubber can be used. Bread is, perhaps, the best, as it does not smudge the charcoal but lifts it readily off. When rubbed with the finger, the darks, of course, are lightened in tone. It is therefore useful to draw in the general proportions roughly and rub down in this way. For drawings that are intended as things of beauty in themselves, and are not merely done as a preparatory study for a painting, this drawing material is perhaps not so refined a medium as a great many others. It is too much like painting to have the particular beauties of a drawing, and too much like drawing to have the qualities of a painting. However, some beautiful things have been done with it. Prismacolor 24 Piece Charcoal Pencil Sketching Set. 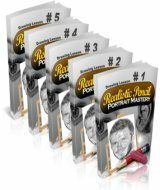 This set of professional quality charcoal drawing supplies is ideal for beginners and masters alike. Included are 10 sticks of vine charcoal (extra soft soft medium); 4 compressed charcoals (extra soft soft medium and hard); 4 charcoal pencils (black soft medium and hard; white extra soft); 2 sketch pencils (sepia and sanguine); one Magic Rub eraser one Kneaded rubber eraser one steel sharpener and one blending stump. All of the supplies come in a reusable portable metal tin. 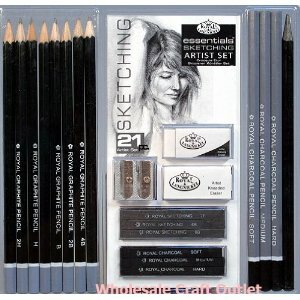 Classic Drawing and Sketching Kit, 20 Kit, 21 Pieces - Charcoal and Pastel Drawing Tools. 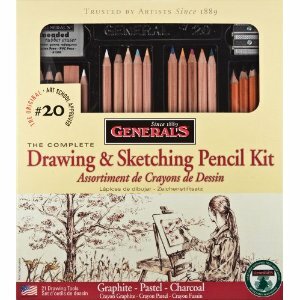 This professional 21 piece drawing set contains all the drawing tools necessary for your mixed media art creations. Kit Includes: 10 MultiPastel Chalk Pencils, 4 Charcoal Pencils, 1 Flat Sketching Pencil, 1 Layout Pencil, 1 Kimberly Graphite Pencil, 1 Sketch and Wash Pencil, 1 Kneaded Eraser, 1 Metal Sharpener, and 1 Draughting Pencil. Since 1889, General Pencil has been making pencils in the USA with the highest quality sustained yield cedar wood. These products are AP and PMA approved and tested and certified for safety and quality by the Art and Creative Materials Institute, conforming to ASTM-D4236. 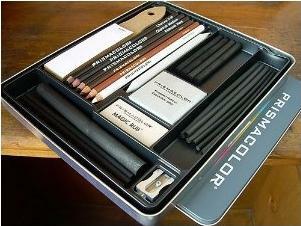 21 Pc Sketch and Drawing Set W/pencils, Charcoals, erasers. These quality drawing pencils are equally capable of producing quick sketches or finely worked drawings. 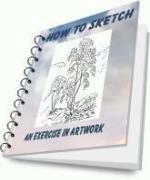 Of all drawing media, pencils are the most immediate, versatile and sensitive. Essentials pencils from Royal and Langnickel can be used for soft, delicate qualities or bold, crisp sharpness and the selection included in this set is perfect for artists of all skill levels. Included in the set: ~ Sketch pencils in H, 2H, 4H, HB, B, 2B, 4B, 6B ~ Charcoal Pencils in Soft, Medium and Hard grades ~ 1 Woodless Pencil 8B ~ 3 Sketching Graphite Sticks 1/4" square x 2-1/2" long (2B, 4B, 6B) ~ 3 Charcoal Sticks 1/4" square x 2-1/2" long (Soft, Medium, Hard) ~ 1 white plastic eraser ~ 1 kneaded eraser ~ 1 double sharpener for pencils and charcoals ALL Packed in a reusable clear plastic clamshell case. Return from Drawing Materials to Pencil Drawing Idea Home.